BALL GROUND, Ga. – Foodmate, an international poultry processing systems supplier, has announced that it has acquired a controlling interest in Computerway Business Solutions Ltd.
Computerway Business Solutions Ltd., the supplier of ChickSort Poultry, Weighing, Grading and Sorting systems, has operated alongside Foodmate for the last six years. The partnership saw Foodmate’s worldwide sales of Cut Up Systems grow at an unprecedented rate because of its innovative approach and rapid delivery of radical new solutions to the market. Foodmate’s dedication to innovation, research and development coupled with Computerway Business Solutions’ proven track record in producing customer-focused software solutions has strengthened both companies. This logical progression to an even closer working relationship will allow both companies to realize their long-term goals of growth and innovation. Computerway Business Solutions Ltd will continue to trade from the UK with the existing management and staff under the new company name Foodmate UK Ltd. The companies see Foodmate UK’s role becoming the software development arm of the Foodmate group of companies, providing a suite of software and control solutions that will allow Foodmate to position itself even more strongly to offer solutions throughout the entire processing plant. Foodmate is a leading poultry processing equipment manufacturer based in The Netherlands. Founded by industry experts in early 2006, the company quickly expanded its worldwide distribution into North and South America with the launch of Foodmate US in 2010, and Foodmate Brasil in 2015. Foodmate has become the committed and reliable partner of major poultry processing companies worldwide. Inc. magazine has recently ranked Foodmate No. 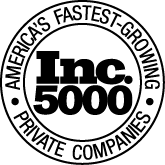 885 on its 36th Annual List of America’s Fastest- Growing Private Companies, the Inc. 5000, the most prestigious ranking of the nation’s fastest-growing private companies. For Foodmate U.S. visit www.foodmateus.com or call 678-819-5270. For Foodmate B.V. visit www.foodmate.nl or call +31-186630240. Have a question or a comment for Foodmate US? Fill in the form below and we’ll get back to you as soon as possible!